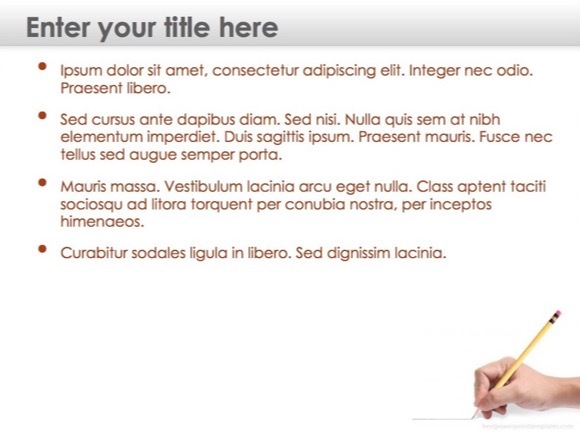 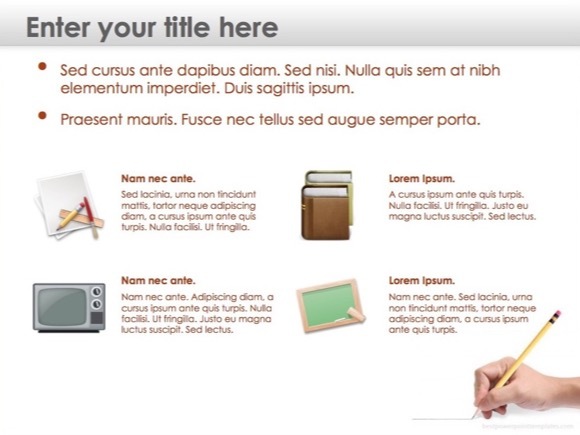 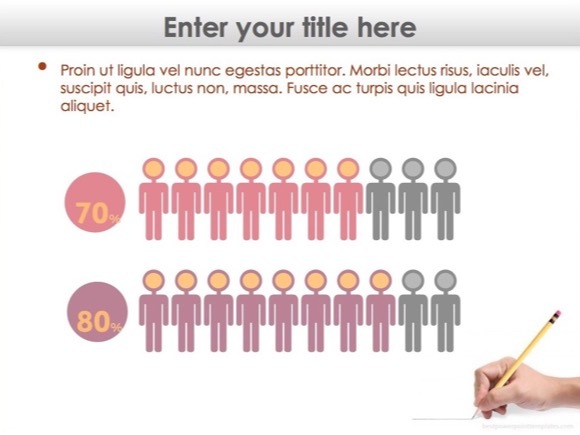 School PowerPoint template - FREE! 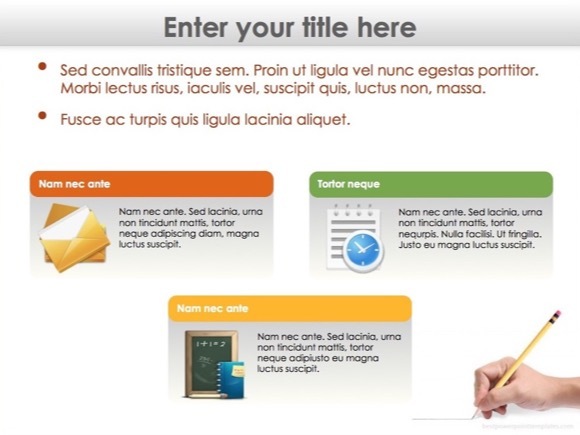 If you are looking for School PowerPoint template, then it is just the right template. 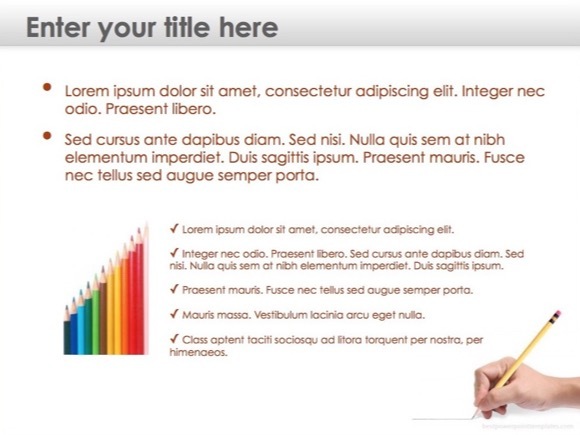 The simple design of this template can be used for your presentations related to kindergarten or elementary school. 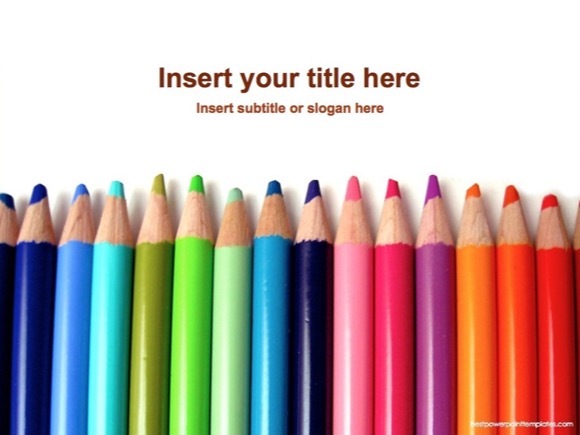 PPT colored pencils background can be used for presentations for preschool children too. 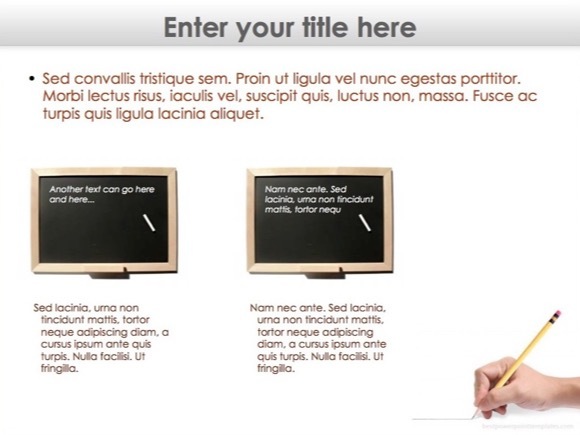 You can download PowerPoint School theme from this page and use it for your PPT presentation. 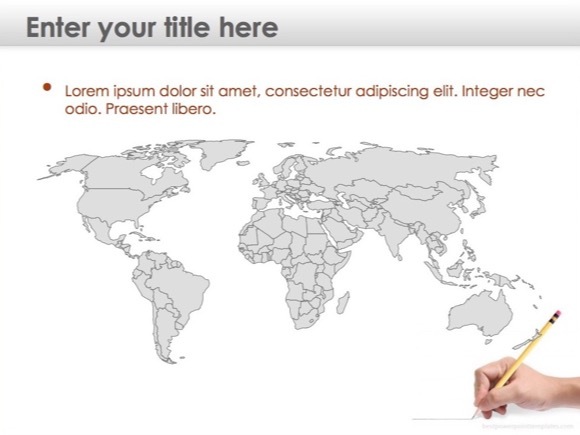 Thanks for the template! 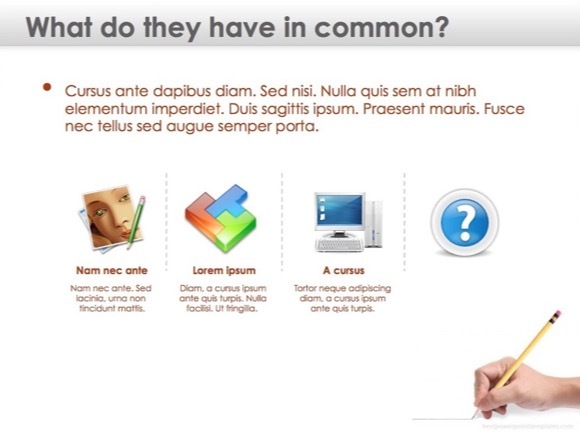 Is it possible to remove writing hand with pencil? 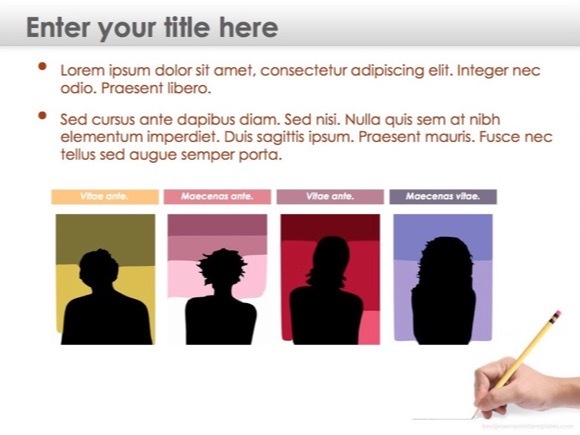 Simply open the “master slides” and put a white layer or shape over that image.